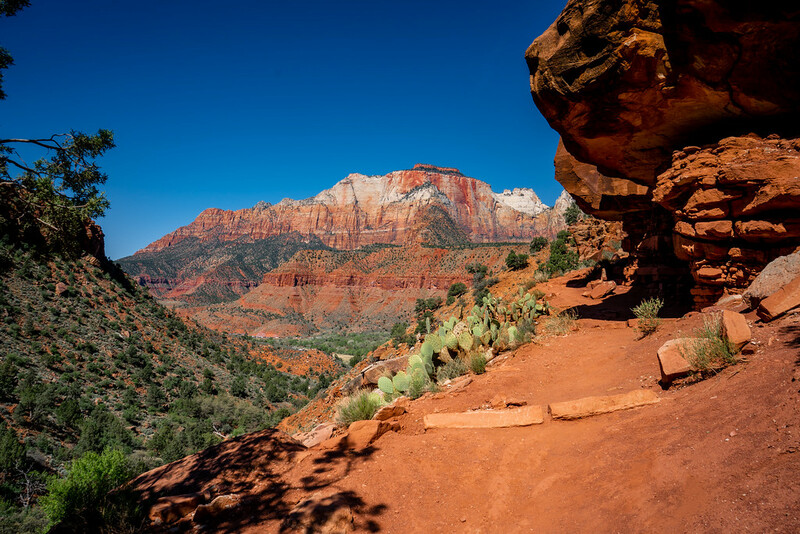 The Watchman Trail is an easy climb that starts near the visitors center at Zion National Park. 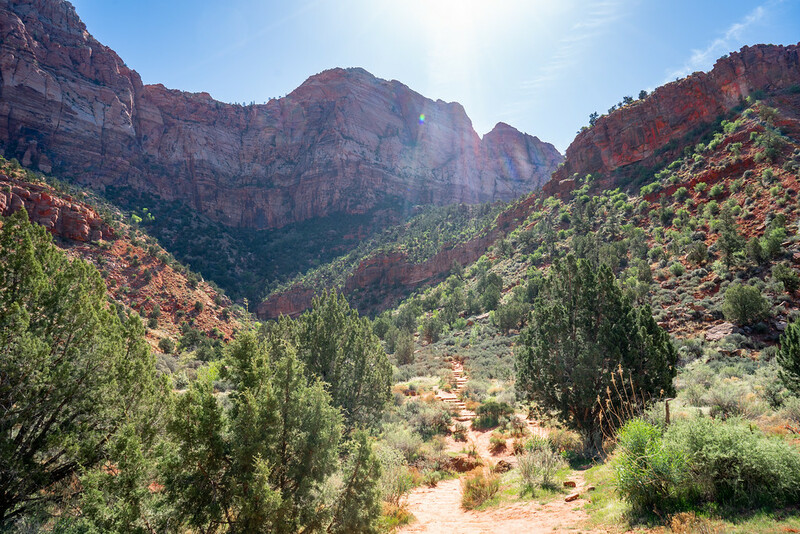 The trail climbs just under 1,000ft in about 1.4 miles, and I found it to generally be less crowded than some of the more popular trails such as Angels Landing or The Narrows Bottom up. Once you follow the trail to the top of the plateau, you can stop there and turn around or continue on another half mile or so and hike the View Point Loop before heading back down. 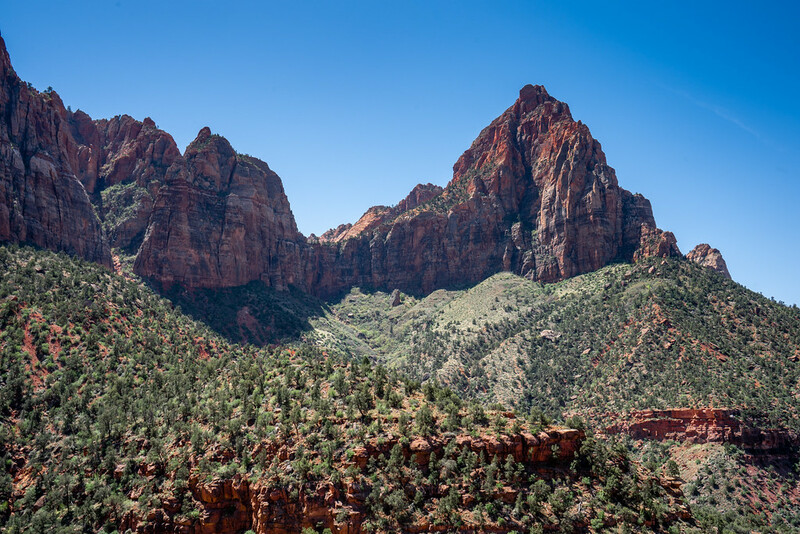 Since this hike starts at the visitors center, you do not have to wait online to jump on the Zion bus system. We did this hike in the morning before we headed up the Zion Canyon for a late afternoon Narrows hike. This hike was great because it didn't tire us out before the Narrows and it was pretty un-crowded compared to the rest of the park. 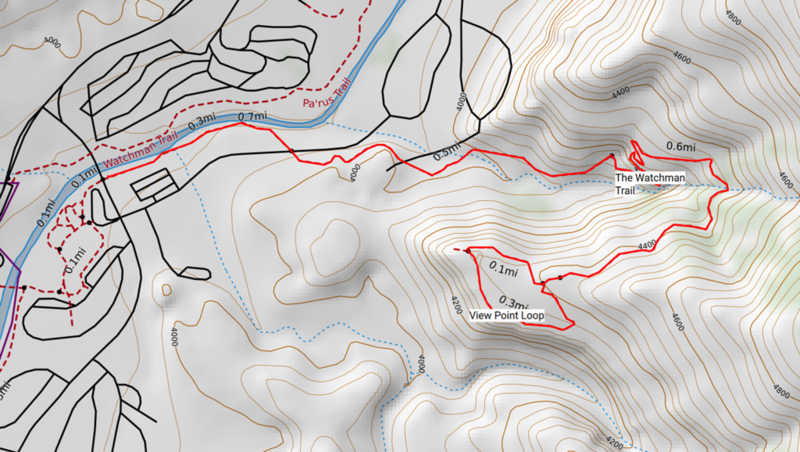 You can view and download the Watchman Trail map below on Caltopo here. The hike starts off following the Virginian River from the Visitors center than slowly and gradually begins to climb. This hike is definitely kid-friendly, and we saw lots of families hiking up with their kids in toe. There is only one section of switchbacks but again this trail is not very strenuous. 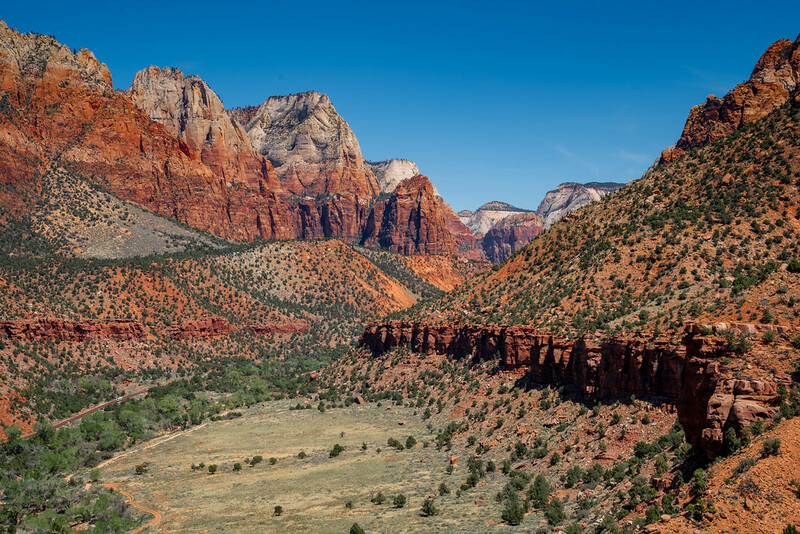 Once you get to the top of the plateau, it flattens out with great views of the gigantic rock formations behind you, the town of Springdale and lastly a great view looking up Zion Canyon. Right before starting out on the View Point Loop is a great place for a quick snack or picnic lunch. I recommend you take the View Point loop, as its pretty short and offers some great views! Thank You MikeJones for your tips to Zion Park and links. On my way there this month and seeking out tips and information for my trip. LORDMARCUS so glad to hear you enjoyed the Zion guides! Feel free to ask questions on this forum as your trip approaches! Also don't be shy, come hear to plan your future trips!